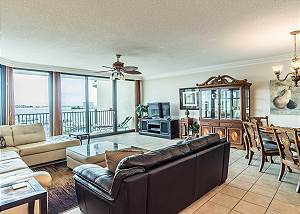 Premium unit on the top floor with gorgeous view of Terry Cove and Perdido Pass! Granite countertops with custom cabinetry, wet bar with ice maker and wine cooler. 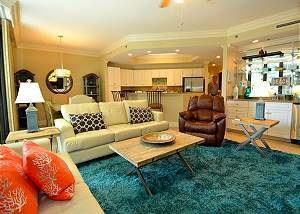 Spacious rooms and large bathrooms with jetted tubs and walk-in shower. Gorgeous Phoenix on the Bay Condo!! 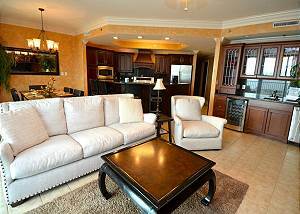 Beautiful condo with updated amenities.